Slovenia has a great many natural treasures. Keeping them that way requires comprehensive environmental protection. The waste treatment plant in Ljubljana is an important part of that strategy. Delivered in late 2015, the plant is one of the most modern of its kind in Europe and Komptech also had an important part to play. The circular economy is quite a complex concept, which makes it not only difficult to understand, but especially to adapt it to suit different needs. A paper by the Centre of European Policy Studies (CEPS) is presenting a schematic framework to develop recommendations for policy-makers and businesses. Twice the capacity, fully utilised lorries at last and maximum operational reliability − Smurfit Kappa in the German town of Neuburg an der Donau is very pleased with a channel baling press manufactured by HSM. The circular economy demands that producers and consumers think about dealing with waste from the very start of a product’s life – and not just at the end. The Hungarian city Békéscsaba makes a giant leap into recycling with an advanced sorting plant. The new system, equipped with 10 Autosort units and one X-tract unit, enables Békéscsaba to process 120,000 tonnes of municipal solid waste per year. E-waste is one of the major concerns today. Although the focus is usually more on metals, those products also contain a lot of plastics. 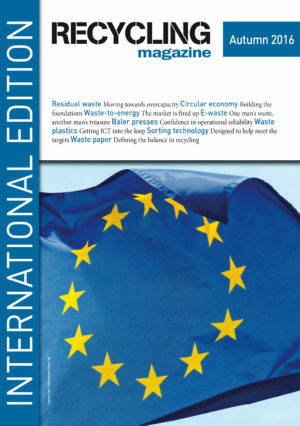 Digital Europe shows how the ICT industry is trying to get plastics into the loop. Despite all efforts, residual waste volumes continue to grow. However, in a recent report, Eunomia Research & Consulting points out that new waste treatment capacities are being built at an even faster rate – which is likely to lead to overcapacity within ten years. The amount of e-waste being generated is growing at an alarming speed – especially in countries that lack the proper infrastructure to treat the material in the best possible way. On the other hand, it is creating a huge market for the waste management industry. In the eastern Polish town of Chelm, not far from the Ukrainian border, the waste recycling company Ekopaliwa recently successfully commissioned its new plant for the production of alternative fuels. Two Weima Powerline 3000 single-shaft shredders with a hydraulic drive used in secondary shredding are the centrepieces of the operation. The main buyer of the Refuse Derived Fuel (RDF) produced is Cemex, with its cement production located directly in the adjacent building. According to the National Renewable Energy Laboratory, 1.81 billion kg of trap grease available in the U.S. each year could yield about 1.9 billion litres of biodiesel instead of ending up in municipal waste streams. The figures for oils and fats are similar. The municipality of Athens provides a sustainable waste management system for the City. Waste incineration can be quite a lucrative business. The sector was in a cheerful mood at the IRRC and in view of the European Circular Economy Package and the Energy Union, the situation is likely to continue improving. 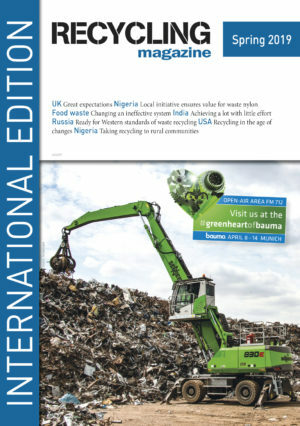 Many countries still lack the required infrastructure for collecting or treating wastes. Therefore, particularly in developing countries, the cement industry establishes recycling projects. Dirk Lechtenberg, Managing Director of MVW Lechtenberg, a Germany-based consulting company with a key focus on alternative fuels, describes a recycling project initiated by various cement plants in Egypt.